As Hoang knows all too painfully well and many of you probably assume, a drive across Connecticut to a completely non-CTMQ event simply must include at least one quick little CTMQ-something. Otherwise, it just wouldn’t be right. And so, on the way back from a wonderful day down in New York at a picnic for our little world of Smith-Magenis Syndrome families, with Damian sleeping and Hoang getting woozy, I suggested a quick little detour off the traffic-free Merritt Parkway to check out another of Connecticut’s 63 National Historic Landmarks. “Okay. Just ONE though – and it better be quick,” said Hoang. No problem. 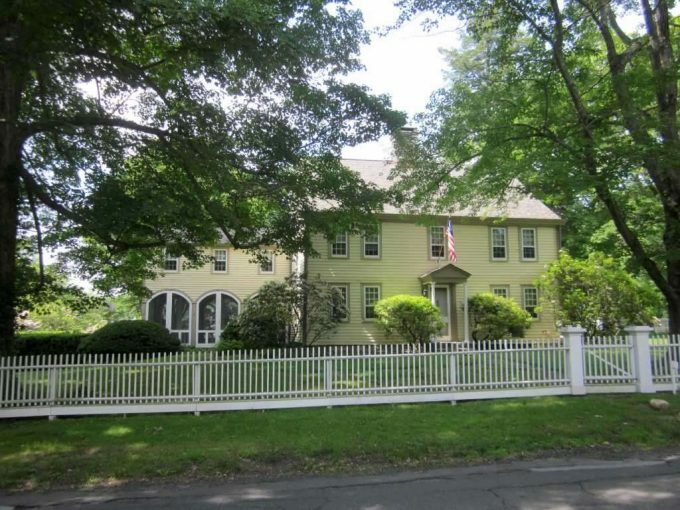 I crept along the road among the stately Darien mansions, which in Darien are all giant colonials for the most part, down Stephen Mather Road towards the house. Speedbumps?! Maaan, so much for Damian’s nap. Oh well, who would complain about seeing the Stephen Tyng Mather House? This is something you should be awoken for! You may not recognize the name – unless you’ve watched Ken Burns’ woefully slow “National Parks” series – but Mather was a really, really important and cool guy in American history. 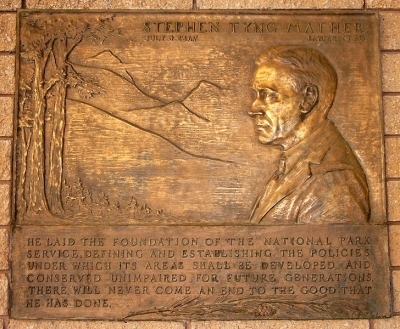 Stephen Tyng Mather (July 4, 1867 – January 22, 1930) was an American industrialist and conservationist. He was the president and owner of the Thorkildsen-Mather Borax Company, which made him a millionaire. With journalist and writer Robert Sterling Yard, Mather spearheaded a publicity campaign to promote the creation of a federal agency to oversee National Parks. Mather eventually became the first director of the new agency, the National Park Service under the United States Department of the Interior. Robert Shankland’s book, Steve Mather of the National Parks, tells of Mather’s letter to the Secretary of the Interior, Franklin K. Lane, deploring the state of the nation’s National Parks. The letter, sent in 1913, set off a series of actions by Secretary Lane that led to bringing Steve Mather into the government’s service to protect the parks he felt so strongly about. Steve Mather’s forays into publicizing the National Parks to a variety of politicians and wealthy corporate leaders are shown in detail, as he sought to develop a greater appreciation of the national wealth of scenic places among a wider population. From his initial activities, Mather brought forth a new government bureau to protect the national parks and a new appreciation of the need for these and additional parks. Mather felt that magnificent scenery should be the first criterion in establishing a park. He introduced park concessions to the national parks, allowing vending of basic amenities and necessities to park visitors, including nature study aids. 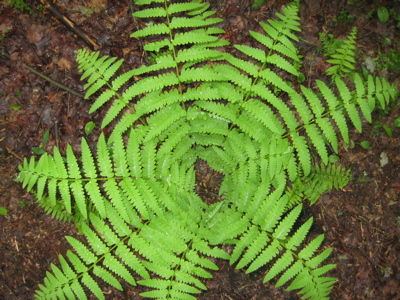 Mather promoted the creation of the National Park to Park Highway and encouraged cooperation with the railroads in order to encourage visitation to normally remote units of the National Park System, and thereby create a base of public support for the fledgling agency and its holdings with those who had seen them and gained a personal appreciation for them. Periodically disabled by manic-depression, Mather left office in January 1929 after suffering a stroke, and died a year later. Bummer. To suffer from depression during the Depression. If you did manage to watch the Burns series, I felt the bit on the Park-to-Park Highway was the most interesting. Also interesting is how frequently Mather is recognized around the country at various National Parks. Check out this list of plaques, highways, memorials and other stuff honoring Mather. Like I said, Mather was a pretty awesome guy. His house in Darien? It’s a bit blah, considering some of the stately homes nearby. The main house was built in 1778 by his great grandfather, Deacon Mather. Stephen Mather often lived elsewhere, but regarded this house as his true home. The house was declared a National Historic Landmark in 1963. As the Stephen Tyng Mather House, it was listed on the National Register of Historic Places in 1966. The landmark includes three adjacent land parcels owned by Mather, plus a family cemetery in which Mather is buried. I highly recommend Mather Gorge, at Great Falls Park on the Potomac. I think that this was a very interesting article. I am writing a very good essay on this for my college course on conservation. I think visiting the Stephen Mather House will be an exciting venue. Although I live in Great Britain, I would love an adventure to America. I just visited that place mentioned. It was fantastic, and a great learning expirence for my 7th grade daughter. She was astonished. 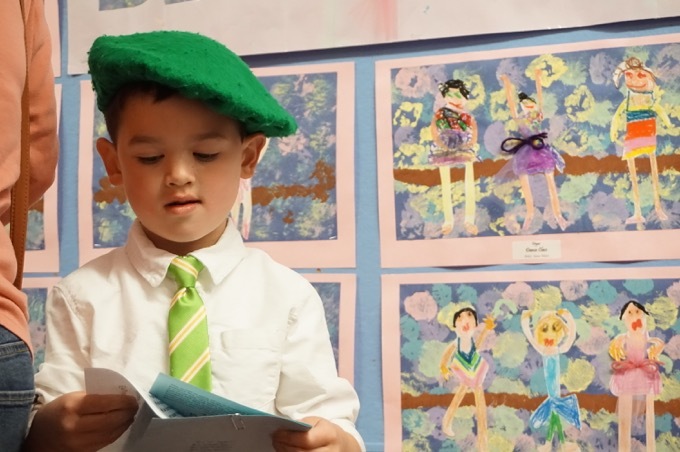 I greatly recommened parents of children who love history to visit. Very pleased. Going again next year!!! I don’t think that you have the correct pictures of the Mather home. You may have visited the wrong house. 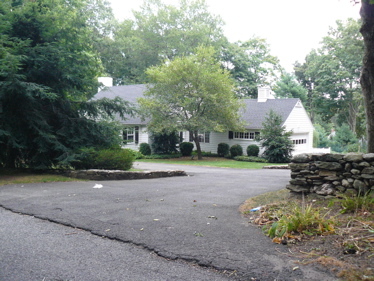 It is a two story colonial on the corner of Brookside and Stephen Mather Rd. The below is the link to the proper house.